The Yemen Civil War is yet another example of how central militant clients are to Iran’s strategy. Militant clients across the Middle East continue to be the backbone of Iran’s strategy and national security. The reliance on a network of non-state actors represents a viable, cost-effective, and efficient solution to the political isolation that emerged in the aftermath of the 1979 Islamic revolution. In its ongoing struggle for regional hegemony, Tehran has been upgrading its support to its militant clients since the outbreak of the Arab Spring in 2011. 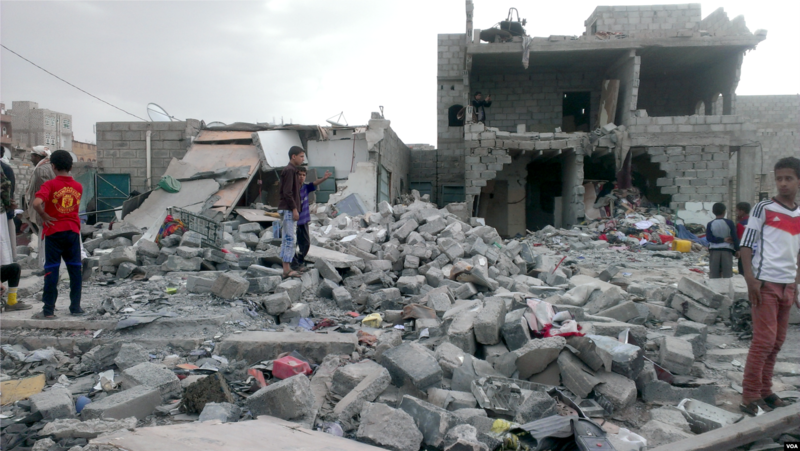 Overshadowed by the situation in Syria and Iraq, the Yemen Civil War has escalated into what is arguably one of the greatest bloodshed and most serious humanitarian crises of the last decades. However, while Iran has undoubtedly played a considerable role in the escalation process, this conflict is not crucial to Tehran’s grand strategy and its relationship with the Houthis differs from those with other clients. Moreover, the long-term consequences of Iran’s involvement remain unclear. A few things need to be clarified before focusing on the Yemen Civil War and the relationship between Houthi rebels and Iran. First, the nature of the Iranian relationship with its clients is usually based on more than a temporary intersection of political interests. In other words, it is not a mere transactional relationship. The term ‘clients’ connotes a relationship where Iran’s involvement is not limited to material support or determined solely by the existence of a common foe or shared strategic goals. Instead, the relationship between Iran and its clients is a far deeper one, as they share the ideological traits of Shi’a Islamism. Indeed, exporting the Islamic Revolution to neighboring countries has represented one of the main strategic goals of the Iranian regime since the 1979 revolution. Besides receiving most of their logistical and financial support from Iran, these clients usually operate alongside or under the supervision of the Iranian Revolutionary Guard Corps (IRGC). In some cases, like the Lebanese Hezbollah, they control enough territory to enable a sustained Iranian military presence, a feature that currently represents a major source of tension on the Israel-Lebanon border. Although this patron-client relationship does not need to imply a total submission and lack of agency from the clients, major operations are usually coordinated with Iranian supervision and sponsorship. Relying on networks of non-state actors is by no means unique to the Islamic Republic of Iran. Yet, what distinguishes Tehran in this regard is the centrality of militant clients in Iran’s grand strategy. As Afshon Ostovar, Assistant Professor at the Naval Postgraduate School in Monterey, argued, Iran has invested in three main areas of defense and deterrence (in addition to its nuclear program). These areas include its conventional missile capabilities and a cyber warfare program. However, Iran’s network of militant clients is by far the most important component of this triad. There are different reasons why this component is so crucial. First, it can be used to threaten, as a means of coercion and deterrence. Second, it allows Tehran to project its military capabilities, enabling strikes on adversaries while retaining some degree of deniability when doing so. Lastly, militant clients can influence the political processes and policies of the countries in which they operate, thus allowing Iran to interfere with their decision-making processes. Past examples include most notably, Lebanon, Iraq, Syria, and Yemen. The reasons Tehran has been resorting to networks of clients are inherently related to the events that unfolded in the aftermath of the 1979 revolution. The newborn Islamic Republic aimed at reshaping the regional status quo by exporting the Islamic revolution and fighting for the revival of the oppressed Shi’a Muslims throughout the world. As such, it soon found itself at odds with a plethora of international actors, most notably, the regional Sunni-dominated countries and Israel. The regime of the Ayatollah was soon faced with a deadly challenge. The Iran-Iraq war (1980-1988) saw Tehran almost completely isolated and entangled in a prolonged conflict with an opponent that benefited from the material and military support of its neighbors (with the exception of Syria), Western European countries, the US and the Soviet Union. This experience left a permanent sense of alienation and injustice that continued to shape Iran’s perspective on matters of national security and foreign policy. The war also provided the new leadership in Tehran with the first opportunity to test the strategic usefulness of having militant clients in key-countries. Under the supervision of the IRGC, the Badr Brigades – a Shi’a political party and paramilitary forces that still acts as Iran’s oldest proxy in Iraq – were formed. Their rationale was to carry out covert cross-border operations in Iraq. Almost simultaneously, the Lebanese Civil War provided the IRGC with the opportunity to organize the Lebanese Shiite into the group known as Hezbollah. It is in this context that Tehran adopted two decisions that were going to characterize its posture for the decades to come. First, Iran began to consider developing nuclear weapons as a form of insurance for the survival of the regime. At the same time, Tehran realized that its network of non-state actors could make up for the absence of allies at the state-level. The regional developments over the last two decades have reinforced this view. Indeed, Iran’s isolation and the imposition of international sanctions have severely impacted Tehran’s finances, including the expenditures in its defense budget. In the meantime, regional competitors have invested heavily in their military capabilities – especially offensive technologies – thus tipping the balance of power in their favor. In a 2015 interview, President Obama asserted that the combined defense budgets of the US allies in the Gulf was ten times higher than that of Iran. How much Iran exactly spends to support its clients is not exactly known. However, the network of clients is undoubtedly less expensive as a strategy than large-scale military operations. As an example, an estimate of the US Department of Defense claims that Iran provides roughly $100-200 million per year to fund its main client, the Lebanese Hezbollah. In comparison, while Iran’s investments in Yemen have also remained relatively low, the military intervention is costing the Saudi monarchy at least $5-6 billion a month. The relationship Iran nurtured with its clients can be divided in three periods. The first started with the Iran-Iraq war and marked the birth of the network. Thereafter, the US invasion and occupation of Iraq – which Ostovar has labeled as “the single most important event in the transformation of Iran’s client strategy” – inaugurated the second phase (2003-2011). In this time frame, Iran’s clients in Iraq constantly harassed US forces and countered its political goals. Throughout the years, they also acquired considerable capabilities and tactical sophistication. The last – and current – stage saw its onset in the wave of conflicts that emerged in the wake of the Arab Spring protests (since 2011). Engaged in the Syrian, Iraqi, and Yemeni theaters, Iran’s clients have transformed into military forces that now operate in open battlefields. The involvement of Iran in Yemen predates the third stage mentioned above. Indeed, Iran has been indirectly involved in this conflict since at least 2009. Back then, an Iranian ship loaded with anti-tank weapons and weapon experts was seized. This ship was allegedly trying to deliver its cargo to the Houthi rebels. However, little is known about the Iranian presence in Yemen, especially in comparison with other conflicts. Moreover, the Houthis’ arsenal has been upgraded to feature more advanced weaponry. Although Iran rejected the accusations, there is now strong evidence that it is supplying the Houthis with different weapons systems, including ballistic missiles and unmanned aerial vehicles (UAVs). Such weapons have gained considerable media attention after they struck ground targets in Saudi Arabia and warships belonging to the coalition and the US Navy. Despite the lack of clear figures, it is relatively safe to assert that Iran has been one of the pivotal factors that led to the escalation of the rebellion into a civil war, pushing Saudi Arabia and the UAE to launch a costly intervention in 2015. The Houthis have embarrassed the Saudi-led coalition on multiple occasions, forcing it to invest more and more money in the operation. While the conflict intensified in Yemen, Iran upgraded its presence the region. In the days following the coalition’s intervention, US officials commented on the increased Iranian efforts aimed at training and equipping the Houthis. Additionally, Hezbollah operatives were also believed to be among the Yemeni rebels. Yemen is not part of Tehran’s core strategic interests. As a matter of fact, it would not be possible to fully understand Iran’s involvement in the Yemen Civil War without considering the greater picture that characterizes the Middle Eastern regional context. Iran has been active on many fronts in the aftermath of the Arab Spring and especially in Syria, as Tehran considered the survival of the Assad regime a cornerstone of its grand strategy. In this regard, Yemen represents a distraction for Iran’s adversaries, leaving Tehran with more leeway in Syria and Iraq. Indeed, the Yemen Civil War provided the opportunity to pin down the Gulf countries and their allies in a prolonged and costly conflict. Moreover, Tehran has at times skillfully manipulated the international public opinion on the coalition’s blockade and the humanitarian crisis that ensued from the conflict. There is an additional, more profound reason why the relationship with the Houthis does not exactly mirror the ones Tehran has with other clients: the ideological clash. Houthis belong to Zayidi Shi’ism, while Iran is the cradle of Imamiyyah Shi’ism. However, it would be unwise to look at Iran’s involvement in Yemen from a purely materialistic and opportunistic perspective. First, Yemen holds a special place in Iran’s ideology. The country plays a crucial role in the eschatological beliefs of Imamiyyah Shi’ism. Indeed, it is believed that the pre-messianic figure Al-Yamani will appear in Yemen. Some have even identified this figure as the leader of the Houthis – Abdul Malik al-Houthi – despite these religious differences. Additionally, ideological differences do not necessarily prevent collaborations and could also result in one party’s adopting the other’s ideology, the most resounding case being perhaps the Islamization of the Chechen separatist movements. Considering the ongoing peace talks, it is worth thinking about how potential future scenarios could affect Iran and its interests in Yemen. There is virtually no scenario in which Iran would emerge soundly defeated. Indeed, this relatively low-cost endeavor has already achieved some of its pre-set goals, namely to harass and distract Saudi Arabia and other regional adversaries, pinning them down in a bloody and costly conflict. Even in the event of a complete annihilation of the Houthis as a military force, Tehran’s losses would be limited. As argued, the Houthis are not as important as Hezbollah or other clients in Iran’s grand strategy. Tehran might even find perpetuating the conflict more advantageous. Doing so would allow Iran to further harass and lead astray regional competitors, while advancing its agenda in more important strategic contexts. If a defeat in Yemen would not cause much pain to Tehran, preserving the current status quo can conversely bring considerable gains. If the Houthis retain control over the country, Iran could establish a permanent military presence in Yemen. Allegedly, Iranian officials have expressed the desire to set up a naval base, which would represent a grave threat to Saudi and US interests in the region. If Tehran succeeds in establishing a permanent presence in Yemen, a more direct confrontation with its regional and international adversaries might ensue in the long term. Iran could also try to transform the Houthis into a Hezbollah-like force and use it to influence Yemen’s policies, thus gaining regional leverage against Saudi Arabia. In other words, a Houthi “victory” in Yemen could lead to a situation similar to what has characterized Lebanon in the last decades. This would enable Iran to rely on two formidable militant clients when dealing with two major regional adversaries, namely Saudi Arabia and Israel. As argued, however, the extent of Iran’s influence over the Houthis is disputable. Therefore, the likelihood of this scenario is debatable. The outcome of the ongoing peace talks and Iran’s behavior in the upcoming year will tell us more about the future of Yemen and the (in)stability of the region.